Do you have an unsightly tree stump on your property? Or maybe you need a bit of assistance with vegetation control throughout your landscape. Whatever the case, it could be time to hire some professionals to check out your property. Here are five reasons why you need expert tree stump removal services to keep your tree crown and body in check. If you have children or grandchildren, your backyard could easily become a dangerous spot. Children running through the yard could easily trip and fall because of stumps. You could also have trouble maintaining your property because of awkward stumps that get in the way of equipment. Did you know that your tree stumps have root systems? These root systems are extremely difficult to remove unless you have the right education and equipment. Trying to effectively remove these stumps can cause more stress than it’s worth. Professionals can quickly remove them without any added issues. Tree stumps are often ground down to make them easier to remove. Renting equipment to do this, however, is often more expensive than hiring someone to do the job for you. While a tree crown is fairly easy to trim down, tree stumps must be pulled from the ground. If you don’t know how to do this correctly you could damage your property or worse yet, hurt yourself. 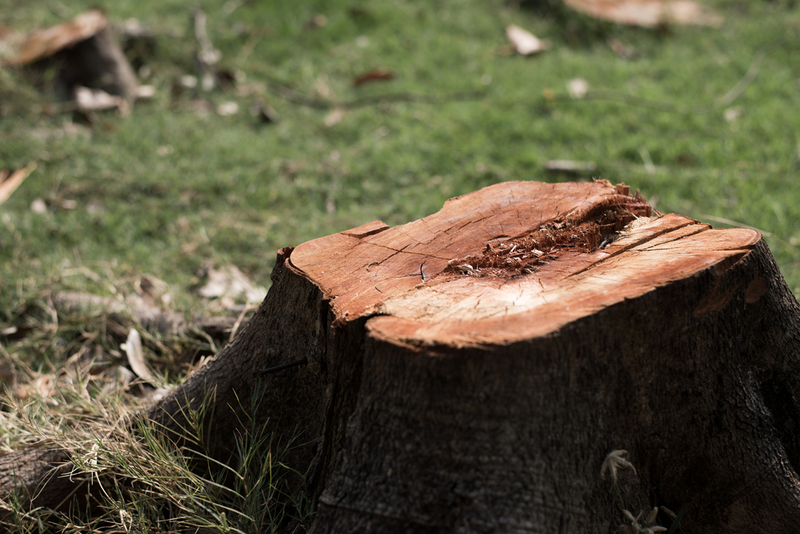 Did you know that tree stumps impact the value of your property? Much of this is because of the work it takes to remove them. If you want to increase the value of your property, we highly recommend hiring a professional for tree stump removal. Professionals have the equipment needed to carefully and swiftly remove tree stumps from your property. You don’t want to invest the time to rent the equipment you need. You won’t have to if you hire a professional to help you. For vegetation control, tree stump removal, and tree crown maintenance contact the Bark and Branch team today.